EA Mobile and Chillingo in prime position to bring home some well-deserved hardware. The 16th annual Webby Awards are set to take place this year, and EA Mobile has reason to celebrate. Two of its games, Firemint's Real Racing 2 HD and Chillingo's Contre Jour, are up for the following awards: The Webby Award and The Webby People's Voice Award in the Games (Tablets & All Other Devices) category. Real Racing 2 absolutely belongs there, as it is undoubtedly the most impressive iOS and Android driving sim on the market, with outstanding graphics, licensed vehicles and real-world tracks. 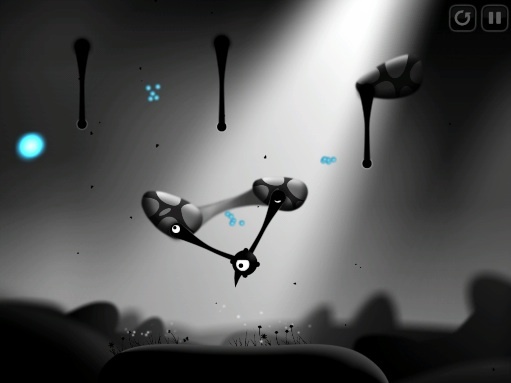 Contre Jour, meanwhile, is a gorgeous puzzle game that impressed just about everyone. Both deserve to win. In addition, the following three titles were selected for remarkable achievement from more than 10,000 entries: Dead Space, Spy Mouse and Poker Pals. EA was apparently so happy with the news, that it slashed the prices of Dead Space, Spy Mouse and Real Racing 2 for a limited time, to which we say, works for us.